Overall, the third-generation X5 is definitely more evolution than revolution in terms of design, but the new grille, bumper and headlamp shape are much more in-line with newer Bimmers like the current 3-Series and 5-Series. It definitely seems somewhat more aggressive than its predecessor, but it's nothing radical. Then again, why mess with a formula that works so well? The X5, first launched in the late 1990s, has been a huge hit for the brand. 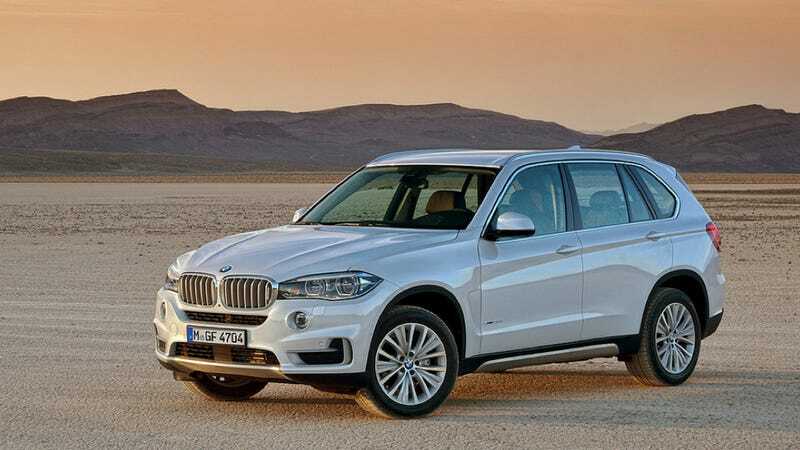 BMW claims it got the large European luxury SUV segment going (although their ex-subsidiary Land Rover may have something to say about that), and it could easily be argued that the X5's success led to models like the Porsche Cayenne, Audi Q7 and even BMW's smaller SUVs. In a news release, BMW said the new X5 will have a choice of three engines: a 3.0-liter turbo straight six, a 4.4-liter turbo V8, and an all-new 3.0-liter turbo diesel straight six. And for the first time ever, it will also be offered with a rear-wheel-drive version, as well as its traditional all-wheel-drive, just in case you're inclined to get it sideways. Okay, now I'll go ahead and say what we're all thinking: I can't wait for the X6 version! Am I right?